It has been proven since ancient times that hot water has beneficial effects on the body and mind. Whether aesthetic or used for fitness, treatments in the jacuzzi spa are increasingly popular for fitness and well-being. Here are five physical and psychological virtues obtained through hydrotherapy and hydromassage. Hot water dilates the vessels and improves blood circulation. This has beneficial effects on migraines, blood pressure, heart, body aches, rheumatism, arthritis, back pain, muscle trauma, chronic pain related to stress, varicose veins, hypotension or hypertension, digestive disorders etc. For people with type 2 diabetes mellitus, there is a reduction in blood sugar. By reducing stress and releasing pressure on muscles and joints through weightlessness, the spa allows cells to age less quickly. The natural defenses are kept longer, the skin is toned. Better blood circulation allows endorphins and other nutrients to access damaged cells. This is mostly what is wanted with a spa. The atmosphere is intimate and comfortable for an immediate relaxing effect. Thanks to the added effects of heat, massage and weightlessness in the water, the whole body relaxes. At this time, the body produces endorphins known as '' happiness hormones ''. They have analgesic properties and provide a feeling of well-being. The benefits of a spa session can last several days. The spa provides a feeling of well-being, which improves the quality of sleep and allows a better concentration during the day. 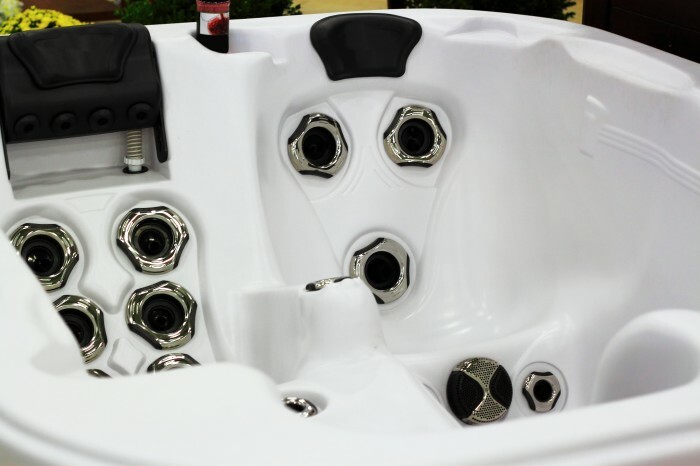 The jacuzzi spa helps fight against depression and anxiety and helps restore a healthy, serene and balanced life. Thanks to the hydromassage, the Jacuzzi spa helps fight against cellulite. At the origin of the orange peel, one can find problems of circulation. They will be improved by the massage jets. The pressure of the water on the skin will also firm the epidermis. For people overweight, the flotation will provide a feeling of lightness that will help to work some muscles without the constraint of gravity. In addition, hot water promotes metabolism.